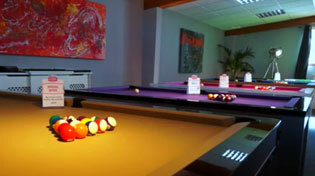 Home Leisure Direct carries a great range of short English 8-Ball Pool cues from the world’s best brands. In stock now for free delivery to the UK. Short pool cues are specialised cues for playing pool, and are made to the same manufacturing standards as longer cues but with a shorter shaft for added convenience. Short cues are primarily designed for situations in which space is limited. If you're cueing off a cushion with a wall or other obstacle behind you, using a shorter cue allows you to still make a draw stroke without running out of room. This allows you to get full control over your shot even in difficult spaces. Short cues can also be very useful for children and younger players. A full-size cue can be too large for children to handle and keep proper control, so a shorter cue will enable a child to play pool with adults or other children on a more even playing field.